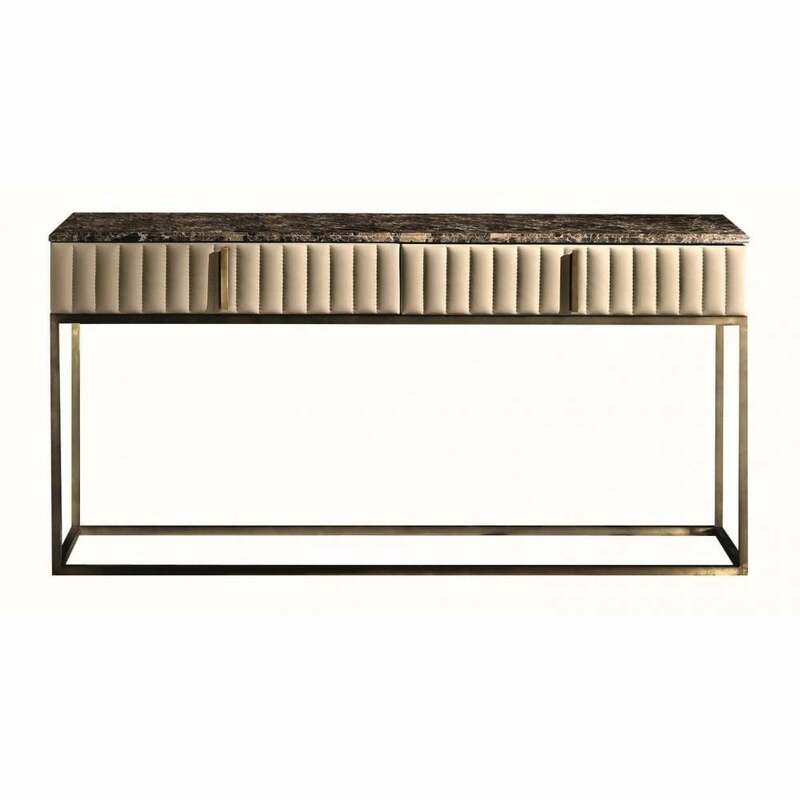 The Angelina Console Table by Daytona will bring a touch of class and sophistication to a hallway or dining space. This glamorous console table is crafted with a myrtle burl veneer and a brushed gloss finish. Each drawer is covered in Capitonné leather with lined interiors and soft metal runners. Angelica has a modern design with unique characteristics that can be found within the combination of high-quality materials. The base is sculpted from a beautiful burnished brass adding an art deco element that takes style cues from 1930’s Hollywood. The table top can be realised in a variety of precious marbles and wood. The drawer front can also be personalised with a choice of fabric, leather or nubuck leather. Style with a contrasting dark interior with moody hues of black, blue and grey. Make an enquiry for more information.